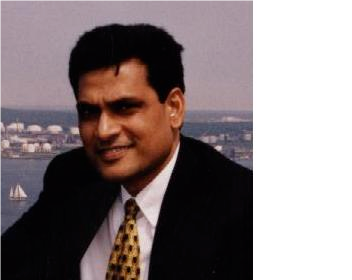 Professor Rafiq Islam, Ph.D. is the President of Emertec Research and Development Ltd. and an adjunct Professor at Dalhousie University, where he was Canada’s first Killam Chair in petroleum engineering during 2000-2005. He has written nearly 800 publications, including dozens of books and numerous keynote speeches. He is the executive editor of the Journal of Nature Science and Sustainable Technology and the Journal of Characterization and Development of Novel Materials. He serves on the board of Journal of Sustainable Energy Engineering (JSEE) and several other journals and corporations. He is known as the most published engineer in the world. He has coined several terms, such as ‘green petroleum’ and ‘sustainable petroleum development’, and economics of intangibles’. His latest work titled: The Science of Climate Change (Wiley) is due to be published in December 2018. His ground-breaking approach in research, training and education is summarized in his book: Reconstituting the Curriculum (Wiley-Scrivener, 2013). His work has created a paradigm shift in a wide range of applications, spanning through various disciplines. His most notable contribution is in the area’s sustainability, environmental integrity, greening of pharmaceutical engineering, and knowledge modeling, on which topic he has written dozens of books and over 700 papers. His latest work is captured in his books: Unconventional Gas Reservoirs (Elsevier, 2014); Greening of Pharmaceutical Engineering (vol. 1, 2, & 3) (Wiley, 2015-2017); Advanced Reservoir Simulation (2nd edition) (Wiley, 2016); Zero Waste Engineering (2nd edition), (Wiley, 2016); Peak Oil (2016); Hydrocarbons in Basement Formations (Wiley, 2018); Drilling Engineering Problems and Solutions: A Field Guide for Engineers and Students (Wiley, 2018); Economics of Sustainable Energy (Wiley, 2018); and The Science of Climate Change (Wiley). In the 30+ years of his professional career, Professor Islam has held faculty positions with seven different universities and supervised over 150 research students and postdoctoral fellows. He received 30 million dollars in research funding from various government and industrial entities. His research spun off a number of technology transfer projects that led to the development of three companies. One of them now has become one of the most innovative oil spill remediation technology development companies. During 2000 through 2005, Dr. Islam held the Killam Research Chair in Oil and Gas, which was the only Petroleum Engineering Research Chair in Canada. Prior to this, Prof. Islam was the first NRCan (Natural Resources Canada) professor of engineering at the University of Regina, where he was the program leader of petroleum engineering. He was instrumental in establishing the Petroleum Technology Research Center (PTRC) and the Greenhouse Gas Technology Center (GTC) in Regina. In recognition of his research and teaching excellence, he has received a number of international awards, including Einstein Gold Medal of Honor, and Crown and Eagle Gold Medal for both of which Prof. Islam is the first recipient in Canada. He taught virtually all petroleum engineering courses, ranging from drilling engineering to reservoir engineering and improved oil recovery. He gave numerous invited speeches and some dozen workshops and short courses in many countries.